This is the 4th and final session of an AMC advanced climbing school. 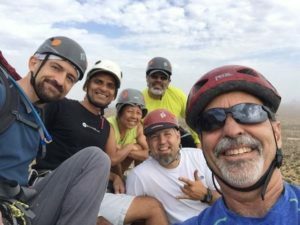 If you are enrolling as a student, please visit http://arizonamountaineeringclub.net/schools/lead-climbing-school/ to register for the class. You are not officially on the student list until we receive your class payment/registration. Club membership for 2019 can also be updated with your registration if you have not already paid for this years member dues.